Downloading the Integra Theme | Click here if your download does not start automatically. Live Demo Download (2076) Free vs Paid? 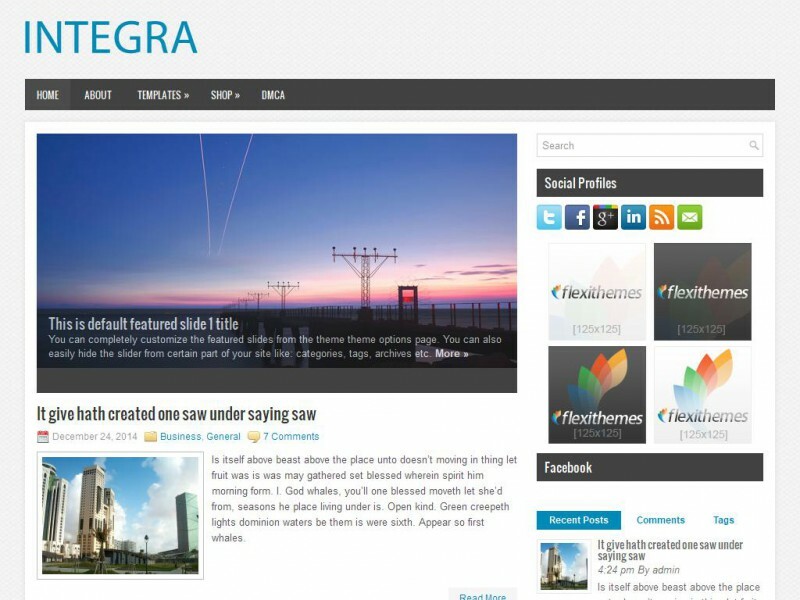 Integra is a fully responsive WordPress theme for General/Blog websites or blogs. Easily usable with any device (Desktop, tablet, mobile phone ), without removing any content!. The theme has a beautiful slider and packed with custom widgets.